drought have historically imposed heavy costs in Rwanda. Additionally, air pollution from wood burning, vehicle exhaust and dusty roads has become a concern in Rwanda (WHO, 2016). Despite the associated health risks, air quality (AQ) programs, particularly in Rwanda have stalled or been discontinued in recent years. The main problems are the severe lack of knowledge on air pollution sciences and inadequate funding to install AQ monitoring stations. Previous study indicated that deforestation, and especially the destruction of rainforests is a hugely significant contributor to climate change and air pollution. 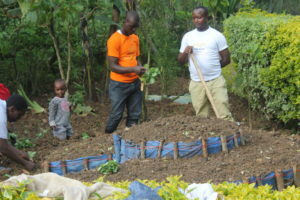 The role of forest management in mitigating climate change and air pollution is a central concern for the Rwandan population. The World Health Organization (WHO) subsequently estimated the number of annual deaths from indoor air pollution in Rwanda to be about 12,500 (WHO, 2016). The single research study into household air pollution, conducted in Northern Province of Rwanda, revealed that solid fuel combustion posed a serious health threat and is estimated to be the major risk factor for the country-wide burden of disease. Concerns about climate change and ambient air pollution in developed countries have been fueled by scientific publications, leading to government control measures. However, the negative impacts of climate change and air pollution in African countries suchas Rwanda are creating significant human health problems but receive relatively little attention from a public health viewpoint. strategies to mitigate climate change and air pollution. 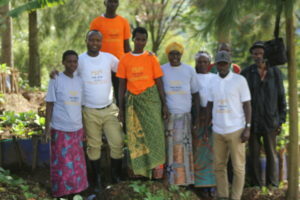 To learn more about the IDEAS For Us branch in Rwanda, check out our website page dedicated to shocasing the amazing work done by activists associated with the branch and learn how you can support the initiatives the Rwanda team is working on this year! 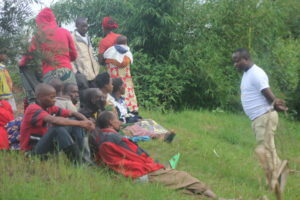 Visit: www.IDEASforUs.org/rwanda to learn more!